According to Voices for Children, a Nebraska family of three with parents who work full-time year-round qualifies for childcare subsidies until the parents' combined earnings reach $11.01 per hour. However, the same family must earn $21.77 per hour to achieve self-sufficiency and afford expenses including childcare. This leaves a gap where achieving self-sufficiency becomes increasingly difficult as Nebraska is one of the few remaining states without a graduated system to lessen family's reliance on financial assistance. This is known as the Cliff Effect because even a slight change in income can disqualify their eligibility subsidies and push them off the "cliff" of self-sustainability. The bulk of our families live at or below the poverty line and 88% qualify for free and reduced meals. The American Community Survey reports that households with children under 18 in our service area have a higher rate of poverty than the 12.6% community average. Many of our parents often work multiple jobs while trying to complete their own education and are sometimes put in a situation of having to choose between basic needs and stable childcare solutions. 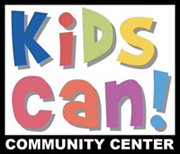 At Kids Can, we offer reduced program fees for families who do not qualify for Nebraska’s childcare subsidies. Often one of the biggest challenges for our families is access to consistent high-quality childcare and programs for those families who do not qualify for Nebraska's subsidies. We want to attract families who typically would not have access or be able to consider a consistent, high level of care for their child(ren). Below are demographic statistics from FY2017 (July 1, 2016 - June 30, 2017).